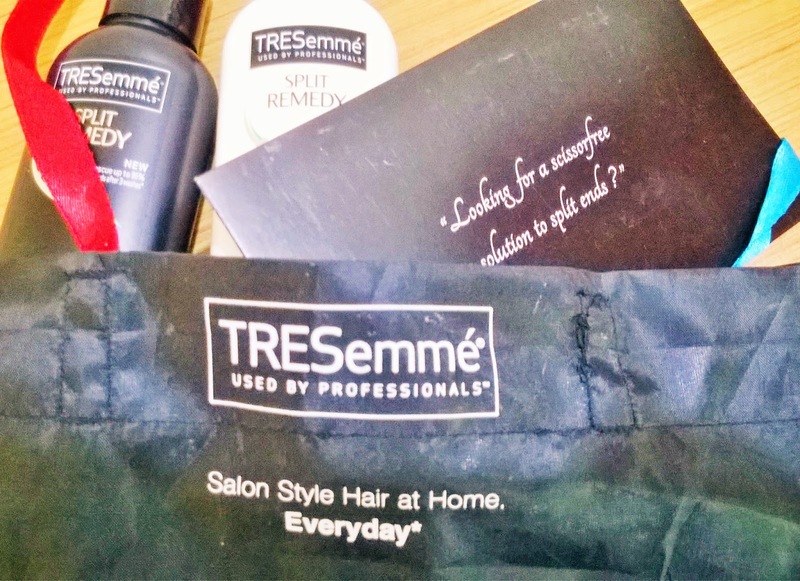 In last week's mail I got some interesting things, a lovely black bag with the new Tresemme Split Remedy Shampoo & Conditioner. I was quite excited to try the range. Today I have started using it. So I wanted to share my 1st experience here. 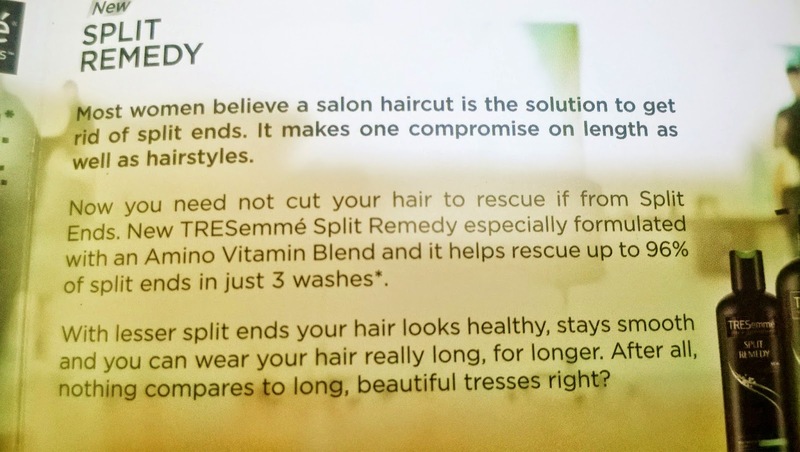 The Tresemme Split Remedy is especially formulated with an Amino Acid Vitamin Blend that helps rescue up to 96% of split ends in just 3 washes. The Tresemme Split Remedy Shampoo is white in colour and comes in a black botttle and has a very mild fragrance. I loved that I just needed a small amount of product to cleanse my heavily oiled hair. The hair felt soft too. 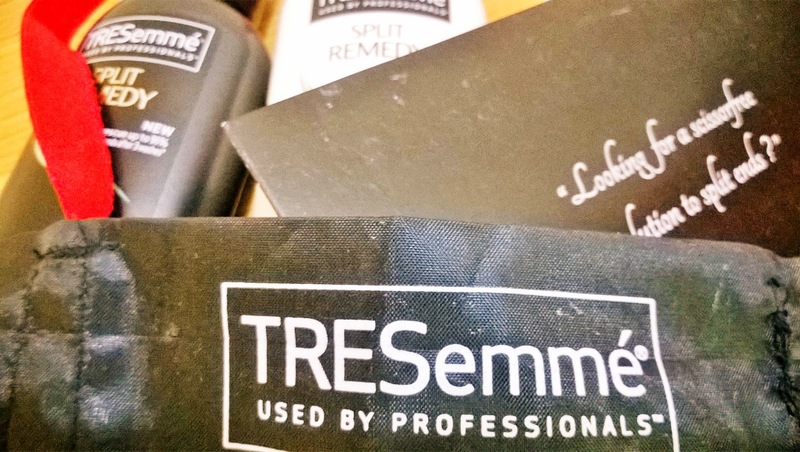 The Tresemme Split Remedy Conditioner is white in colour and comes in a white bottle. The fragrance is similar to the shampoo and is very mild. I applied a very small amount only at the ends of my hair, left it for 2 minutes and rinsed it. I generally wrap a towel, and now as I have opened the towel, I can feel that the hai feels very soft and clean. The Tresemme Split Remedy Shampoo & Conditioner promises to reduce split ends up to 96% in just 3 washes. So I will update my experience report after 3 washes. Stay tuned for the next review of the Tresemme Split Remedy Shampoo & Conditioner.